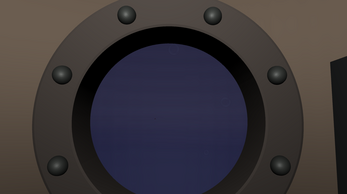 Inspired by submarine combat sims of yesteryear, Ping attempts to give you a new type of sonar-based combat in an unusual situation. You'll have to figure out how to operate this strange battle station and defeat oncoming targets as they enter your area. 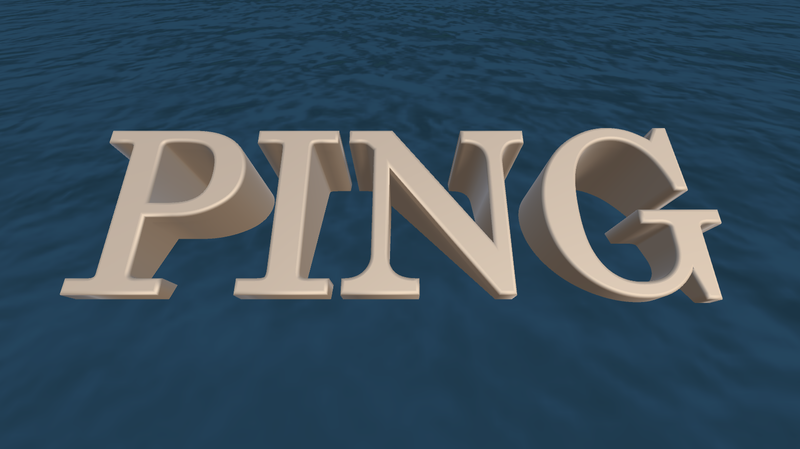 Created during Wizard Jam 6, Ping is a game jam game, and so it is not a polished experience. It allowed me to try out some vague sonar concepts that had been banging around in my head and a few other interesting things. I was interested in making a game with all in-world interfaces, so there are no HUD or other UI elements. One drawback of this is that there is no pausing (you can't pause life!) or other niceties. The only command I will tell you here is that pressing ESC will return you to the title screen, and quit the game if you are on the title screen. If you encounter bugs or have feedback, please leave a comment! I will try and fix any problematic bugs. Note that Mac and Linux builds have never been tested, so feedback on those is appreciated. You can read a development log of the game here. Although I wasn't very good about updating it, there may be items of interest to you. 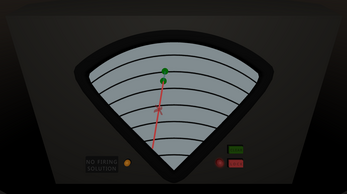 -Added mouse sensitivity controller in the main game (a.k.a. "MOTION ACUITY"). It can be adjusted using the arrow keys (as indicated) and your preference will be saved. If the range of sensitivities isn't enough, let me know! 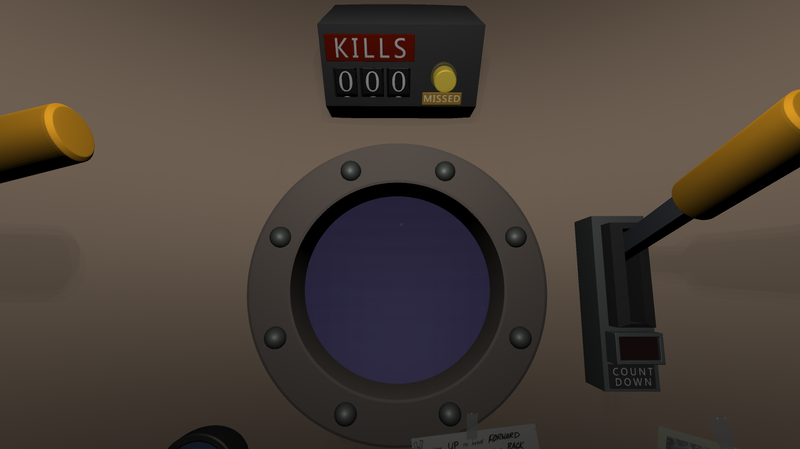 -Adjusted upper limit of mouse-look in the main area so that you can slam the mouse into the upper right corner and be able to grab the firing lever. 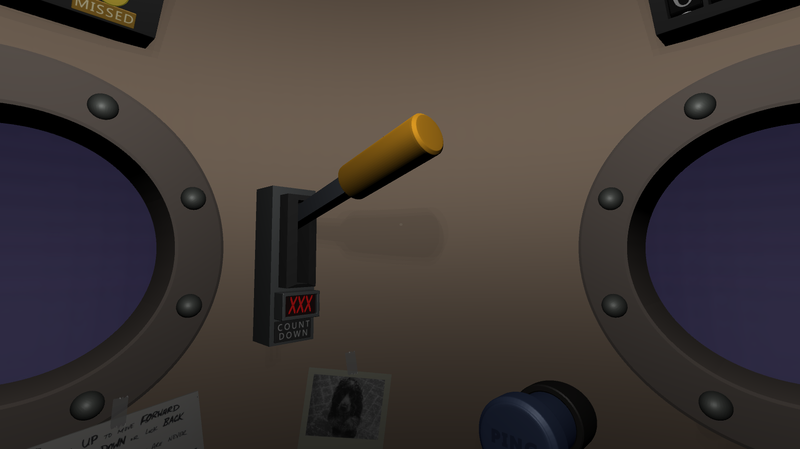 This worked previously for the ping button, so as suggested by FIFOgamedev, I did the same for the lever. Great idea, Phill! 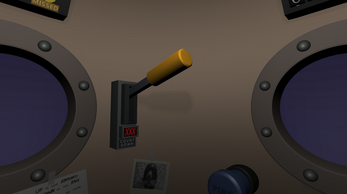 -Fixed interactable objects to be locked down, e.g. you can no longer hit the ping button before a ping is complete. This was originally correct, but I broke it in a evening before deadline mechanics change. Always a good idea. 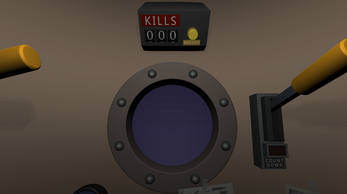 -Fixed a problem where your kill count would not reset properly. Let me know if I created new issues or you'd like something changed. Good luck! *Mouse sensitivity solution is in-work, but didn't have time to implement it yet. Stay tuned!